To register for TCDN Out of School Time programs, please visit the Admission- Initial Application page to download the current Application and Fee Agreement. To schedule a tour or visit an Out of School Time location, please contact Pat DeHaven, Out of School Time Director, ost@tcdn.org. The BSC program is nationally accredited by the Council on Accreditation and has attained the highest level, STAR 4A, in the PA Keystone STARS tiered system of quality improvement. The Before School Club provides before school care to children in Kindergarten through 5th grade, who attend all elementary schools in the WSSD. Children may also enroll from outside the district. The program offers children a comfortable space and a variety of activity options. Children enjoy their breakfast, play with friends, participate in provided activities of the choice, or work on homework. Outside play is sometimes incorporated. The focus is on facilitating children’s self-initiated play, developing relationships with staff and other children, and offering enriching experiences. The SASC program is nationally accredited by the Council on Accreditation and has attained the highest level, STAR 4A, in the PA Keystone STARS tiered system of quality improvement. 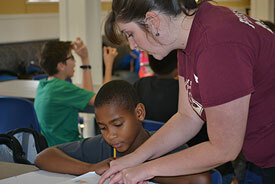 The Swarthmore After School Club provides after school care to children in Kindergarten through 3rd grade attending the Swarthmore-Rutledge Elementary School. Children from outside the district may also enroll. The indoor facility is spacious, with varied learning areas available for individual or group play and exploration. There are daily opportunities for outdoor play and occasional use of the school gymnasium. Project activities are planned by teachers as a choice for children, and incorporate children’s interests and desire to increase knowledge and skills. A quiet homework time is available, with teacher assistance, if necessary. Within the Wallingford Presbyterian Church, Brookhaven & Avondale Road, Wallingford, PA 19086. Conveniently located within walking distance from the Wallingford SEPTA regional rail station. The WASC program is nationally accredited by the Council on Accreditation and has attained the highest level, STAR 4A, in the PA Keystone STARS tiered system of quality improvement. The Wallingford After School Club provides after school care to children in Kindergarten through 3rd grade attending the Wallingford Elementary School and the Nether Providence Elementary School. Children are transported by school bus directly to the WASC program. Children may also attend from outside the district. The indoor facility includes two large rooms, with various learning areas and play spaces available for individual or group play and exploration. 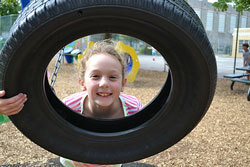 There are daily opportunities for outdoor play on a spacious outside recreation area. Project activities are planned by teachers as a choice for children, and incorporate children’s interests and desire to increase their knowledge and skills. A quiet homework time in a separate room is available, with teacher assistance, if necessary. Flexible enrollment 2-5 days/week, with the option to add the Before School Club or Kindergarten Complement program (Explorers). Extended enrollment options on some school closing days and all school early dismissal days. A healthy afternoon snack is provided, including many whole grains and fresh fruits and vegetables. The Nether Providence After School Club provides after school care to children in Kindergarten through 5th grade attending the Nether Providence Elementary School. The indoor space will include the school cafeteria, with learning materials available for individual or group play and exploration. Project activities are planned by teachers as a choice for children and incorporate children’s interests and desire to increase their knowledge and skills. A quiet homework time is provided, with teacher assistance, if necessary. The gymnasium will be available after 4:30pm for gross motor play and group games. 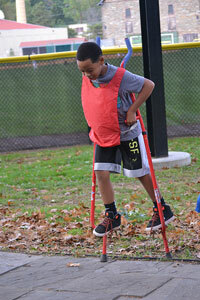 There are daily opportunities for outdoor play on the school playground and available fields. Flexible enrollment 2-5 days/week, with the option to add the Before School Club. The OASC program has attained STAR 3, in the PA Keystone STARS tiered system of quality improvement. The OASC provides after school care to children in 4th through 6th grade who attend the WSSD elementary schools and the Strath Haven Middle School. Children may also enroll from outside the district. The Swarthmore Community Center offers two spacious floors for individual and group learning activities, games, homework and more. Outside field space is available for individual and group games and sports. 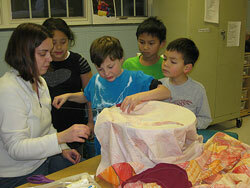 The OASC program is designed to meet the changing needs of older school age children. To encourage independence and responsibility, children are involved in programming choices, which include opportunities to increase physical prowess, build socialization skills with lessened adult supervision, pursue creative outlets, learn new skills, and utilize technology. Outings and community exploration are incorporated whenever possible. Children have time for homework and teachers work with families to coordinate individual needs. Teachers also prepare children for times when they may be responsible for themselves at home.